A Mixed-Use — Fire Station? 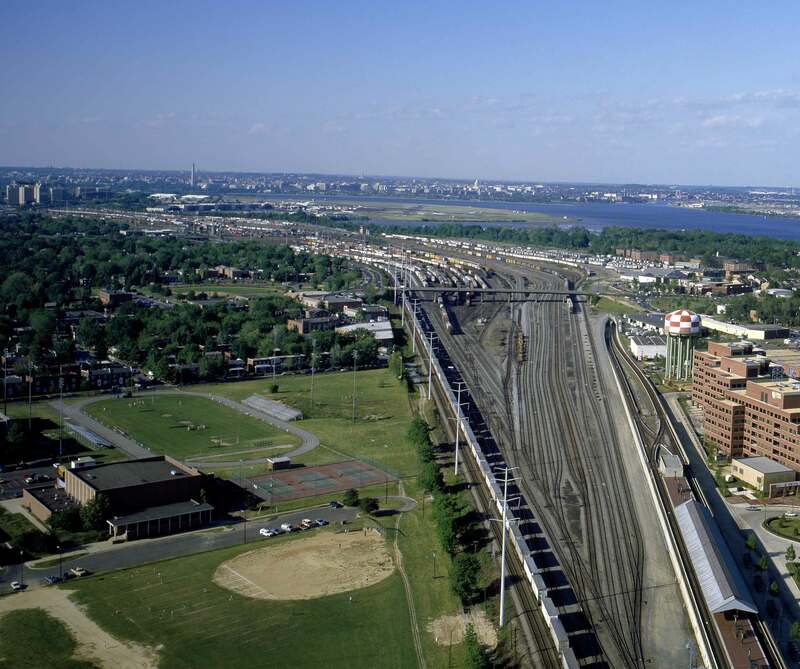 Potomac Yard in Alexandria, Virginia is a massive new mixed–use development on the 167-acre site of a former rail yard. This brownfield development project went through decades of community planning and design, survived the real estate bubble of 2008, and is now finally springing to life just north of Old Town, Alexandria. 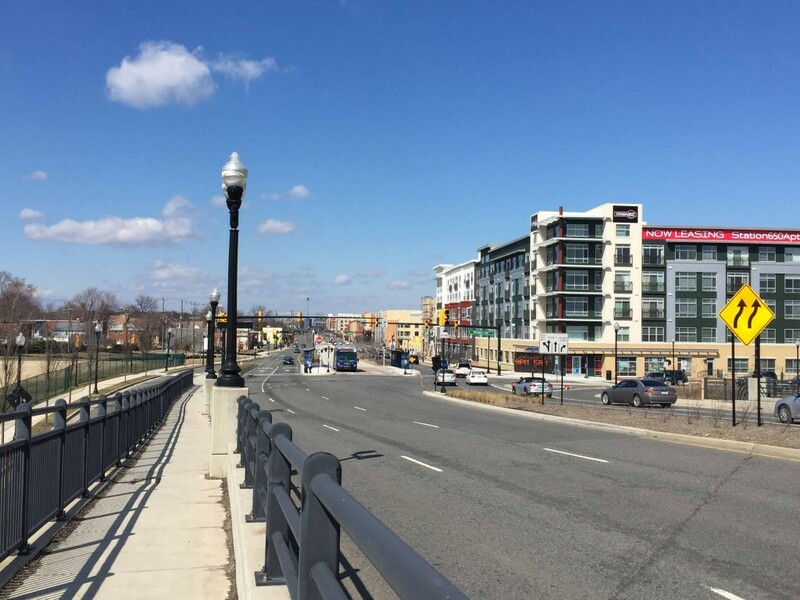 If you take a walk around the new neighborhood, it is easy to see how different the project is from the existing Potomac Yard strip mall just down Route 1. 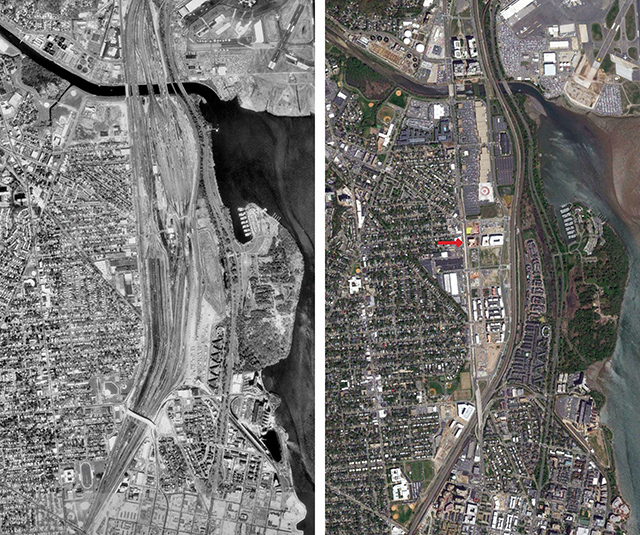 Both projects sit on parts of the old rail yard, with the big box stores completed in the 1990’s when single use suburban development was the accepted standard. Potomac Yard, when fully constructed, will add roughly 1,700 new residential units, 1.9 Million square feet of office space, 120,000 square feet of retail space and a 625 room hotel to the City of Alexandria. It’s easy to see how adding that many new homes and businesses to a city’s emergency services network could overwhelm the whole system, and, as a result, Alexandria committed to build its first new fire station in more than 30 years. However, rather than building a traditional, single-use facility, the city pursued an innovative design that fit the station into the mixed-use fabric of the new neighborhood. The fire station is contained within the five story building, known as The Station at Potomac Yard. It houses four emergency vehicle bays on the ground floor, along with all the other facilities needed in a typical fire station. 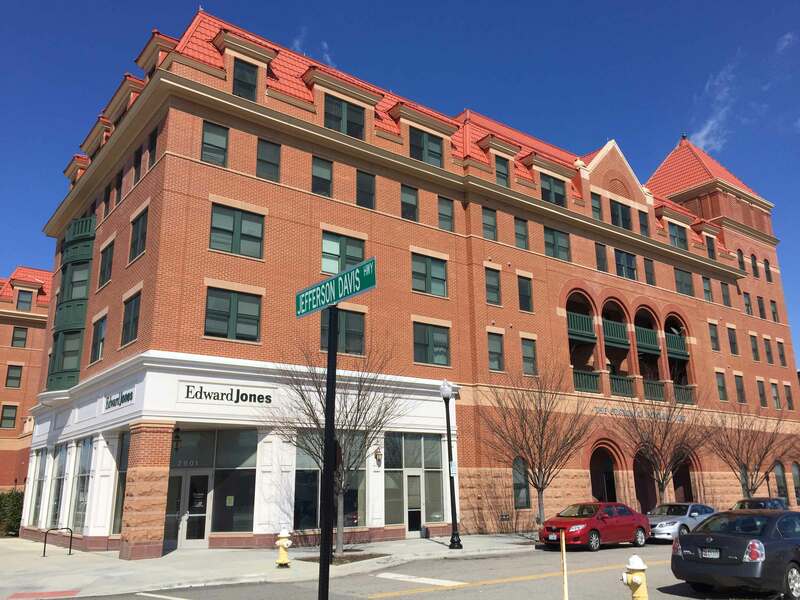 Unlike a typical fire station, there is also 1,500 square feet of commercial space (currently occupied by an Edward Jones Financial branch), and four stories of residential apartments. Artfully fitting a fire station, a commercial storefront and apartments into one building is already impressive, but what makes the project even more daring is the breakdown of its residential units. Forty-four units are designated as affordable housing for residents making less than 60% of the area’s median income. 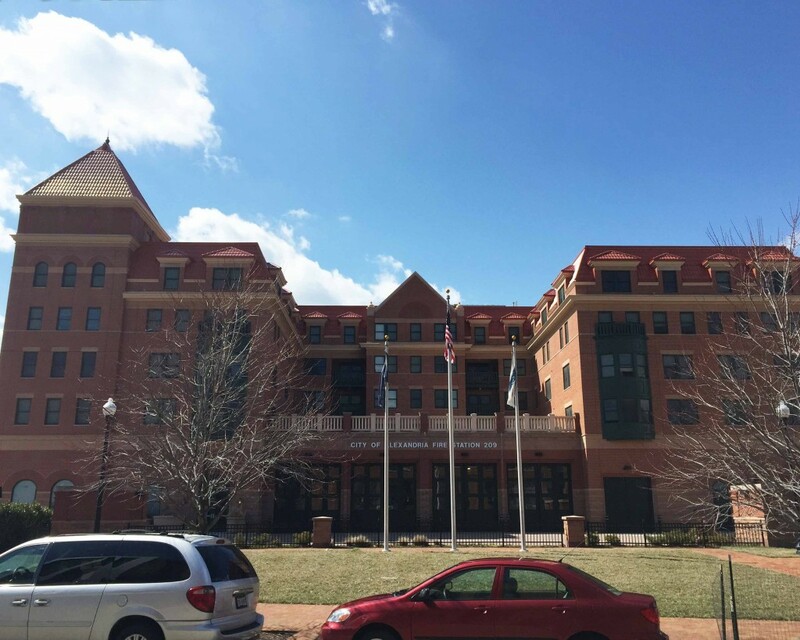 An additional 20 units are designated as “workforce” housing geared towards government employees, like teachers or even the firefighters themselves who work in Alexandria but don’t come close to earning the $80,000 plus median income of local residents. 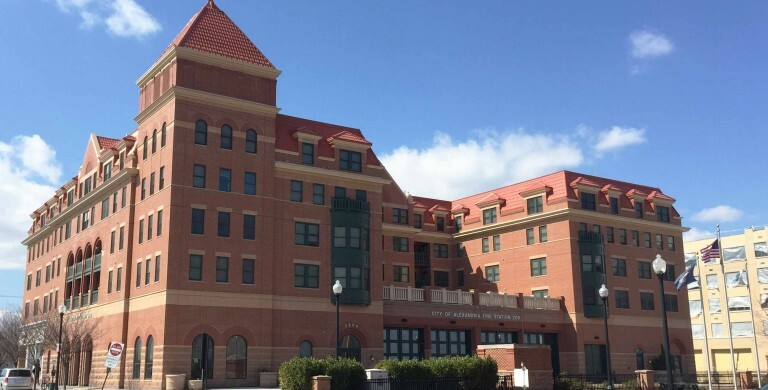 A quick look at the rental rates or price tags on the apartments and town homes in Potomac Yard gives you a sense of how pricey the neighborhood will be. Unfortunately, as more people look for housing in urban, walkable, transit accessible places, the prices for these limited areas are going up. Potomac Yard is no different. The fact that 1,700 units of housing can spring up in such a short amount of time says a lot about the current demand for this kind of housing in the D.C. area. The city’s ability to leverage the need for a fire station into a decent chunk of affordable and market rate housing is a powerful model for encouraging diversity and affordability in our changing urban environment. It’s also just a great use of space and an innovative version of the “mixed-use” development craze currently running through suburbs and cities across the country. Mixed-use development can be so much more than just residential next to commercial or apartments above shops. This fire station has set a new precedent for mixed-use development and stretched the boundary of what we have deemed acceptable for mixed land uses. 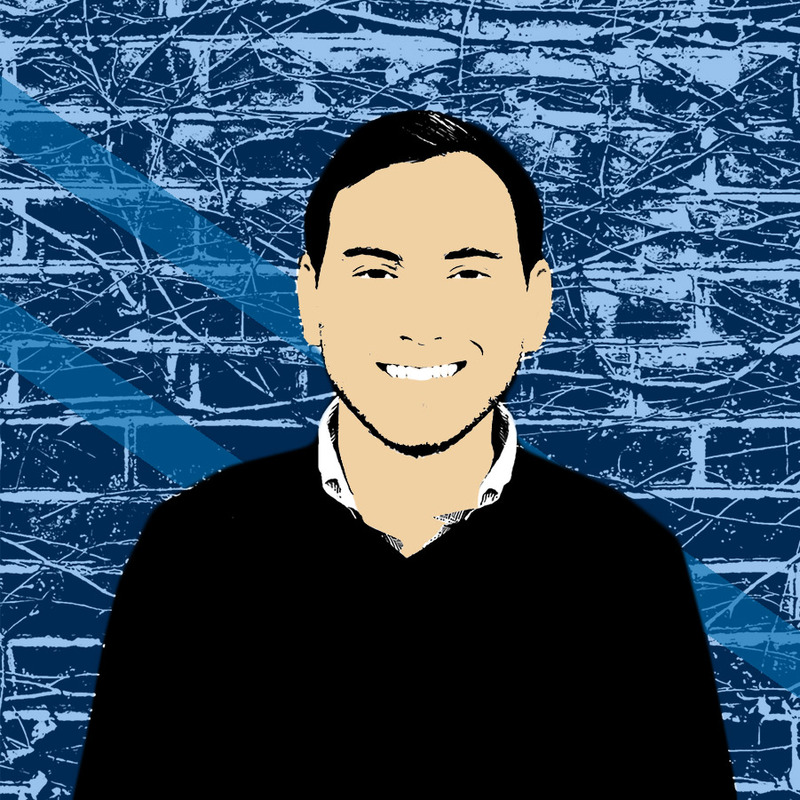 It has connected several independent silos of development together, and hopefully it will connect different parts of the community together as well. Nice article, great pictures- they really showcase the area. I assume (and hope) there is no loud fire alarm at this firehouse?